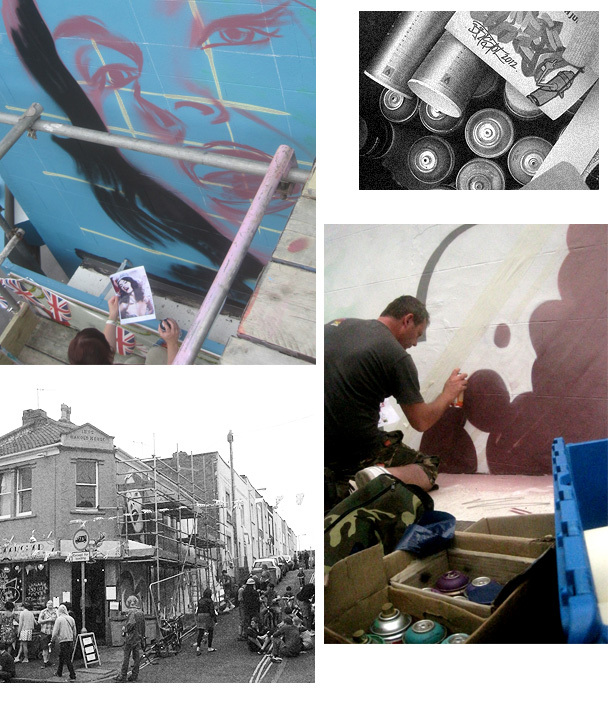 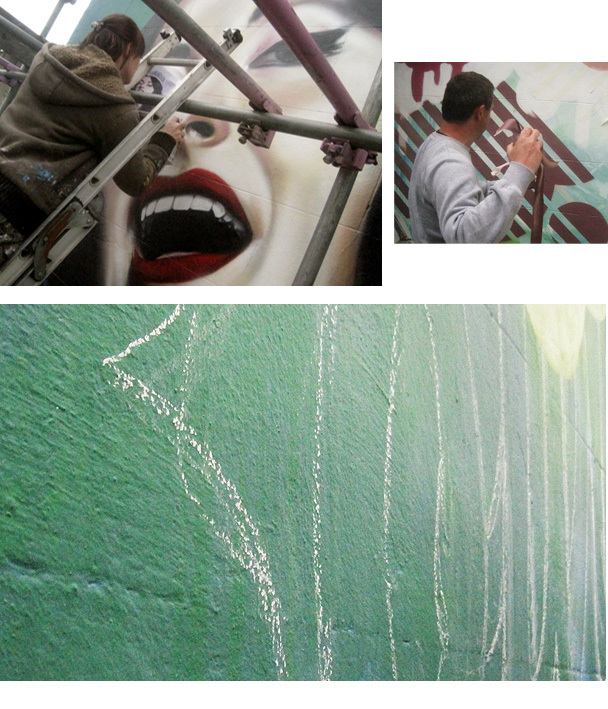 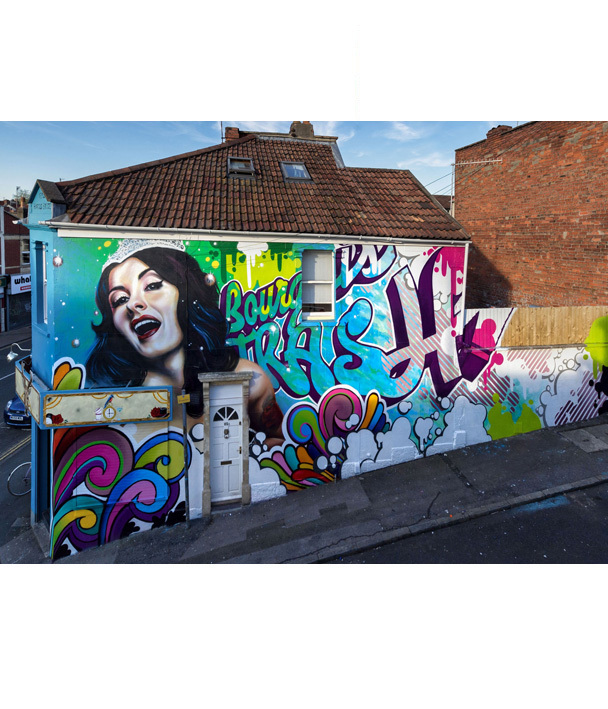 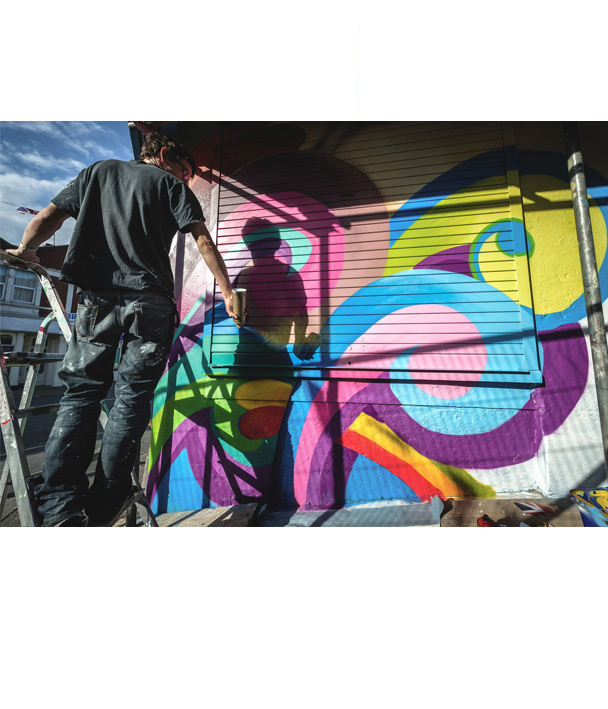 Featured in the book ‘UPFEST: The Urban Paint Festival‘ by Paul Green & Jody Thomas (pub. 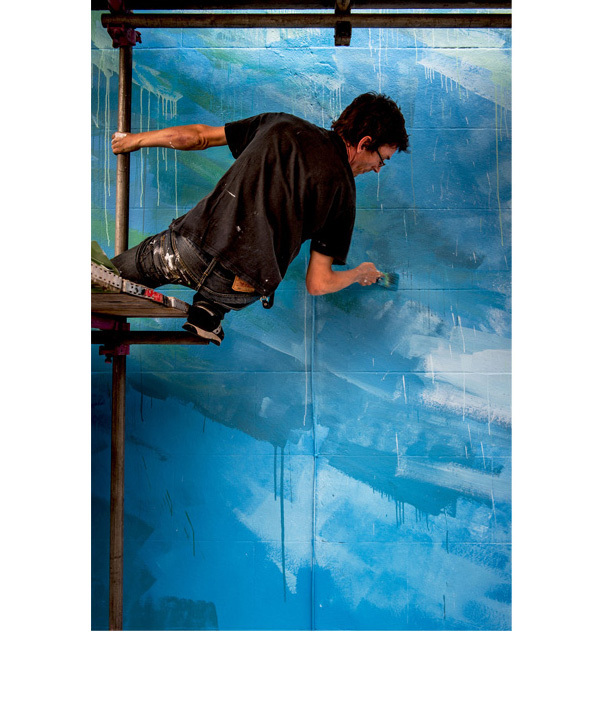 Tangent Books). 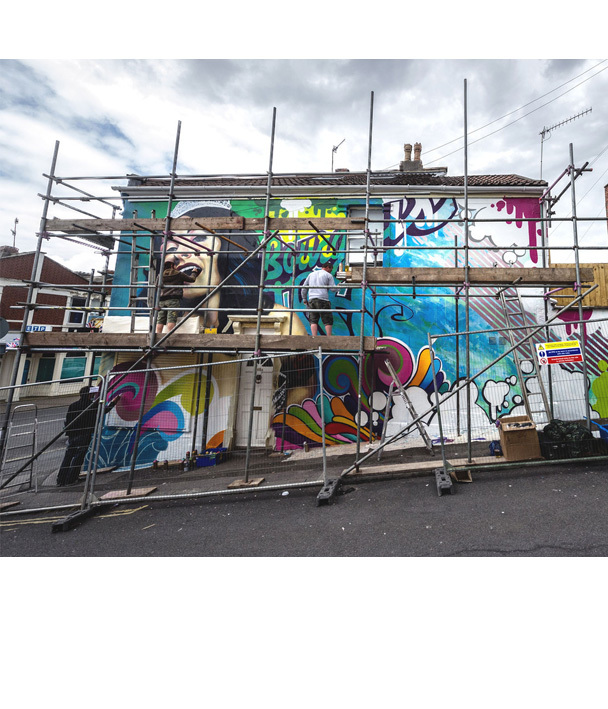 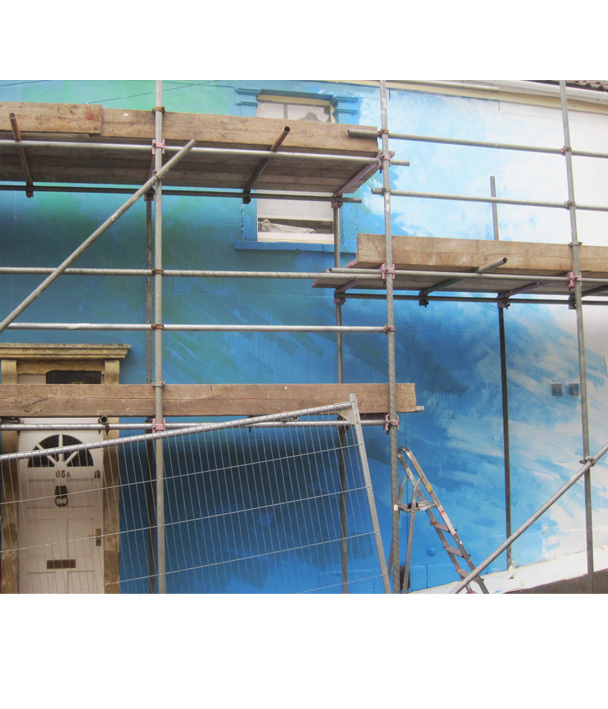 Soulful Creative were asked to transform the wall of 'The Old Bookshop' bar & eatery as part of Upfest '12. 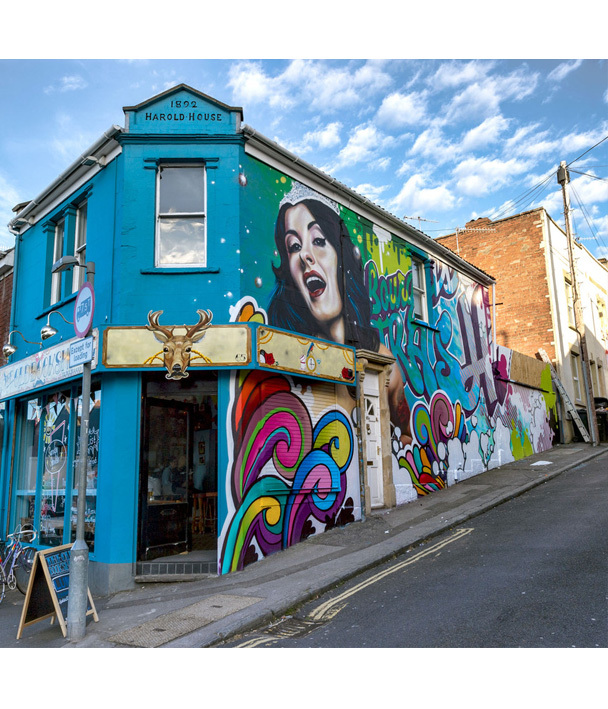 In collaboration with Cry and Koze, this funky venue consequently became the talking point of Bristol. 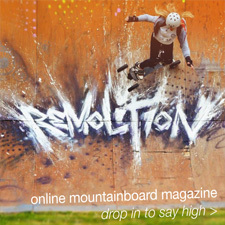 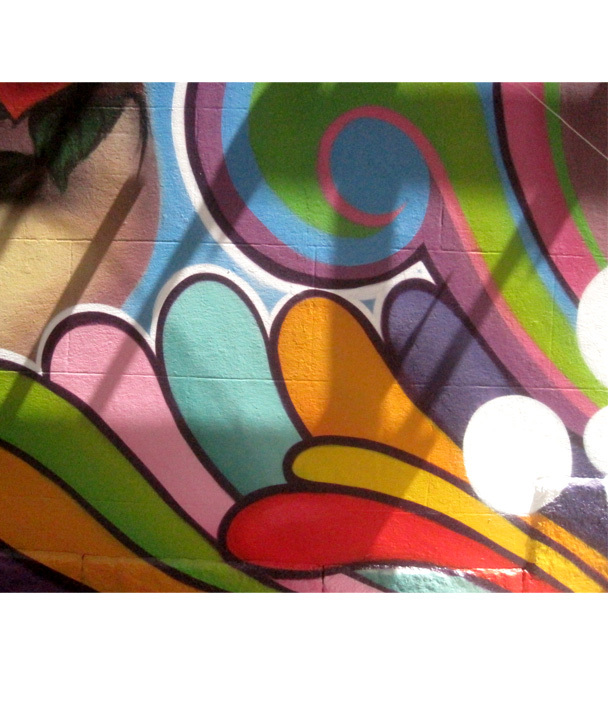 Background painting, letter sketch up, masking, graf patterns and colourful motifs.